This is your reminder for the first JAXMAN Symposium Thursday, November 8th. JAXMAN (Jacksonville MPA and NHA) is for members of the HSM and VP communities to come together for a full day of topics on ASW planning, platform capabilities, tactics, recent prosecutions and discussions on enhancing interoperability between our communities. 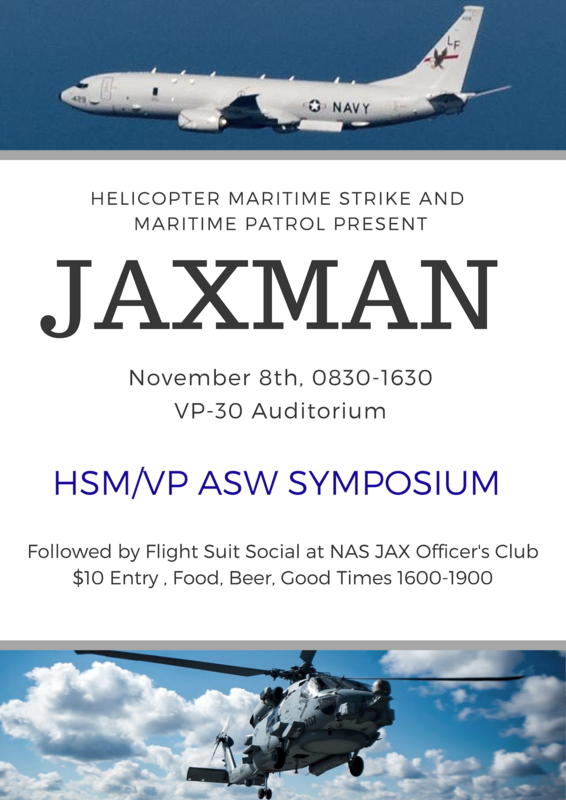 Following the symposium, MPA and NHA are hosting a Flight Suit Social at the NAS Jacksonville O' Club with dinner and two hours of beer and wine provided. Spouses are highly encouraged to attend! The price will be $10 a person at the door. Friday morning at NAS JAX we are hosting a Ryder Cup Golf tournament with two-man teams MPA vs NHA (and obviously we need to win this). 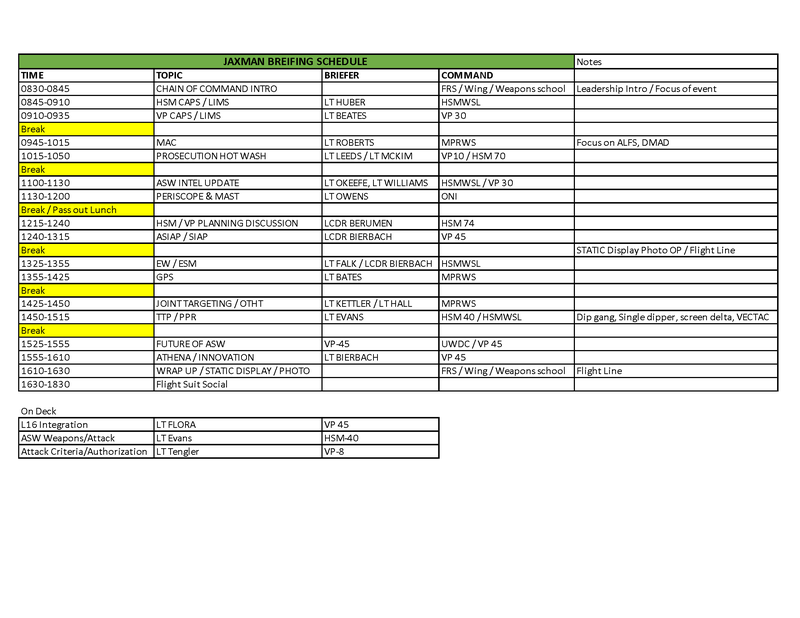 HSM-40 Instructors will have a no-fly day in order to attend the conference, and students will be scheduled to attend if they are not scheduled for a syllabus event. Please email Benny Evans ([email protected] <mailto:[email protected]> ) to set up your golfing team. Please let McLovin, Deebo, or myself know if you have any questions.